Rüsselsheim is known for cars nowadays. But that was only Opel’s second career. 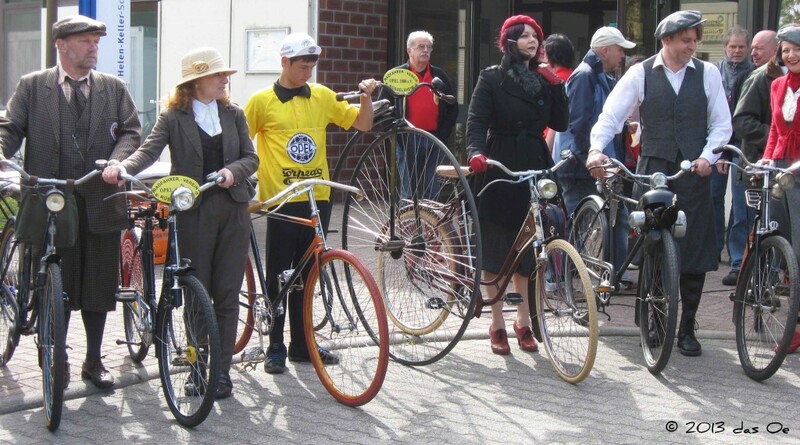 Way back in 1886, the first penny farthing rolled out of the Rüsselsheim factory. 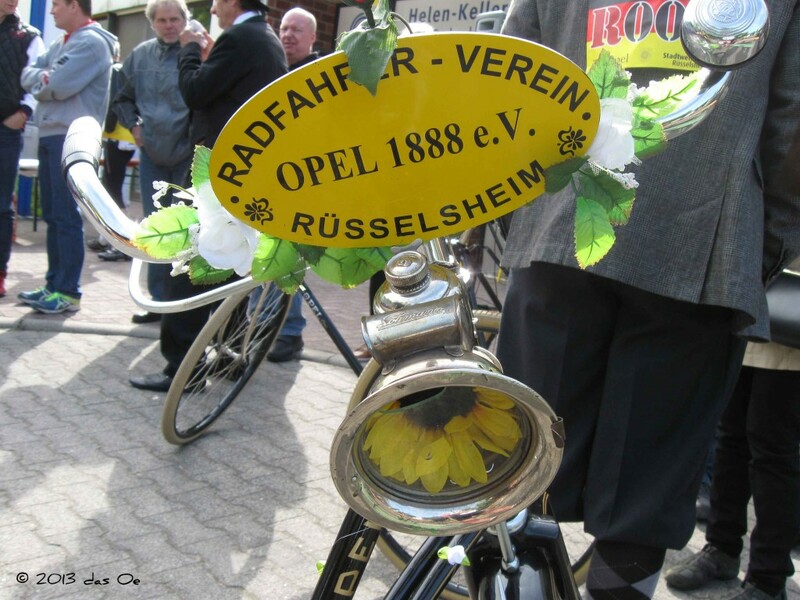 Two years later, the Opel bicycles were so popular that the bicycle association „Radfahrer-Verein Opel Rüsselsheim 1888 e.V.“ was founded. 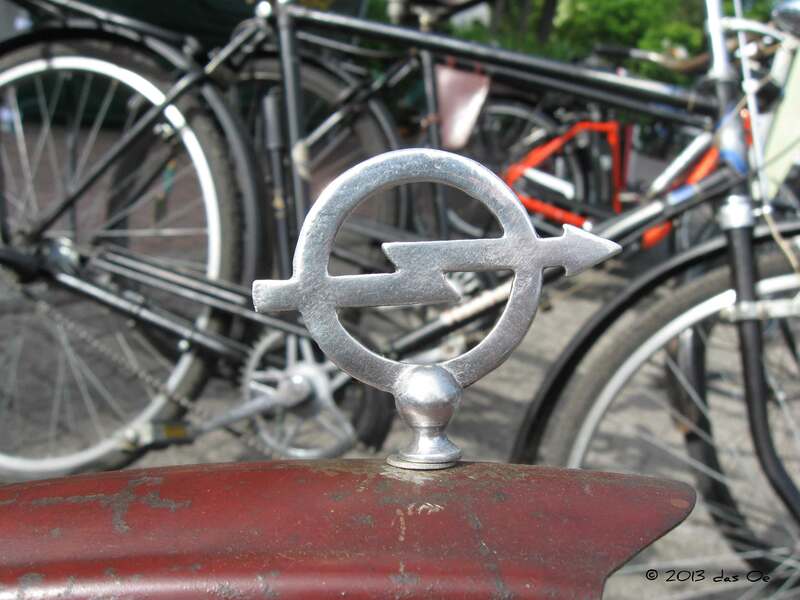 And in the 1920s, Opel was – go figure! 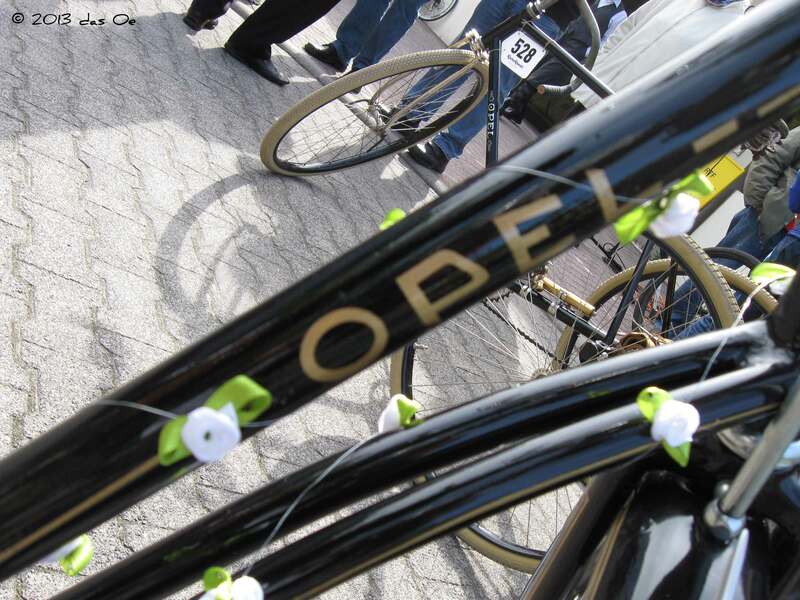 – the largest bicycle manufacturer worldwide. 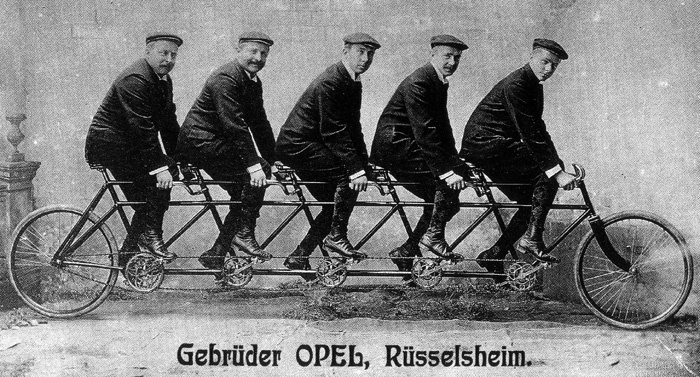 The five Opel sons, Carl, Wilhelm, Heinrich, Friedrich and Ludwig, were bike enthusiasts and truly successful racers - but also moved their Dad's bike and sewing machine business into modern times by the decision to manufacture automobiles from 1899 on. So it was a matter of respect towards the bicycle tradition of the area to ride the Rüsselsheim tour on today’s European Day of the Bicycle. And sure enough, my 1997 Lemond Tourmalet looked like a youngster among all those well-polished and very apparently truly loved beauties of the 20s and 30s. 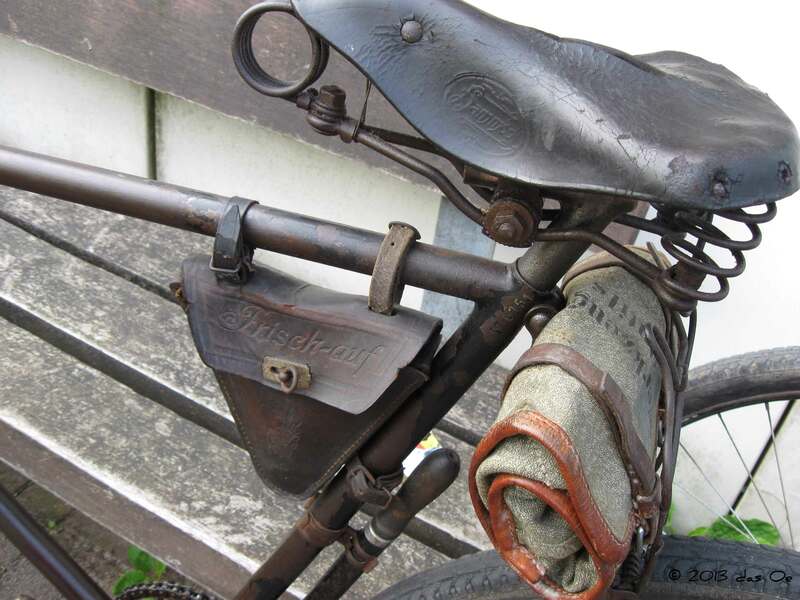 Another local was present as well, a Frisch-auf bicycle also manufactured in the Rhein-Main area, in Offenbach, from 1912 on. This factory was organized as a wholesale cooperative, supporting the idea of the workers and socialists of providing the working class with a means of transportation and mobility at an affordable cost. Something the Nazis didn’t like too much and made an end to by disappropriation as one of their first actions after coming into power, in 1933. 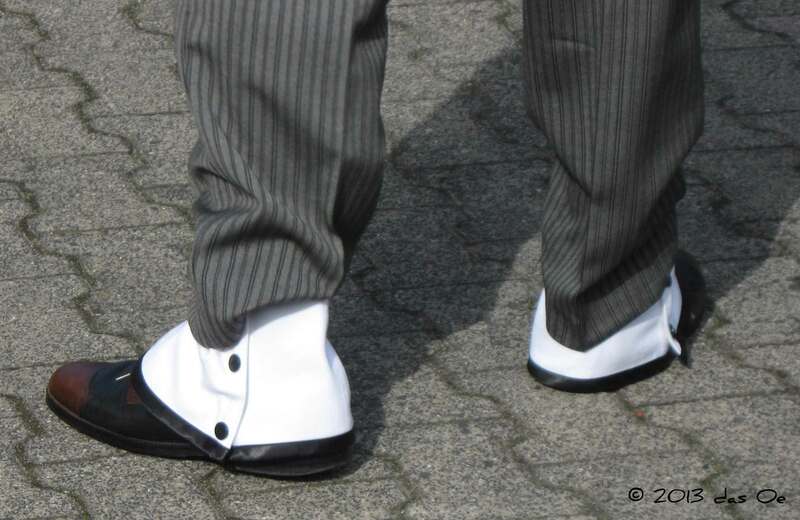 Spats date back into Biedermeier era, then went out of fashion, but were re-discovered around 1900 by sportsmen such as bicyclists. Historic picture of the Opel Bros. taken from Rüsselsheim-Ruderklub 08 e.V.